If you're a Gunner, or an ex-Gunner, know that you're welcome here. Whether you were with Coastal, Field, Medium or Heavy; Ack-Ack or Air Defence; Divisional Locating or STA; we hope you'll find something here of interest to you. 2/10 Bty, 9 Regt, invite you to their ANZAC Day gunfire breakfast and ANZAC Day dawn service at Sargood Barracks, 8 Chapel Street, East St Kilda. 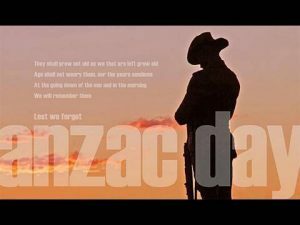 On behalf of the Commanding Officer, Lieutenant Colonel Lachlan Searle, it is my pleasure to invite you, your family and members of the Royal Australian Artillery Association (Vic) to the ANZAC Day Dawn Service on Thursday 25 April 2019. The Service will be held at the Gunner’s Memorial at 8 Chapel Street, St Kilda East, commencing at 5.45am. It will be preceded by a Gun Fire breakfast at 5.00am and followed by a light breakfast at 6.30am, both in the Drill Hall. I would be grateful if you could RSVP to CAPT Oscar Dyer (03) 9526 4213 or email oscar.dyer@defence.gov.au at your earliest opportunity. I, along with the Officers and Soldiers of the Light Battery look forward to seeing members of the RAA Association on ANZAC Day. The RAA Assoc (Vic) Inc is assisting in the logistics of the event, and to ensure adequate catering is available, RSVP instructions (above) are required to be followed. Volunteers are also sought to assist with cooking breakfast, security etc. If you are available to assist, please include this in your RSVP.